Welcome to CanWest Hort Expo 2019! CanWest is Western Canada’s premier horticultural trade show, connecting buyers and sellers throughout Canada and the Pacific Northwest. Whether you are exhibiting or attending, this website will provide you with all the information you need about CanWest. We look forward to hosting you at this year’s show. The Fraser Valley Trade & Exhibition Centre, or Tradex, provides a unique setting to hold breathtaking events that are impossible to forget. Situated in the heart of British Columbia’s picturesque Fraser Valley, Tradex is the second largest facility of its kind in British Columbia and an industry leader to a growing market. 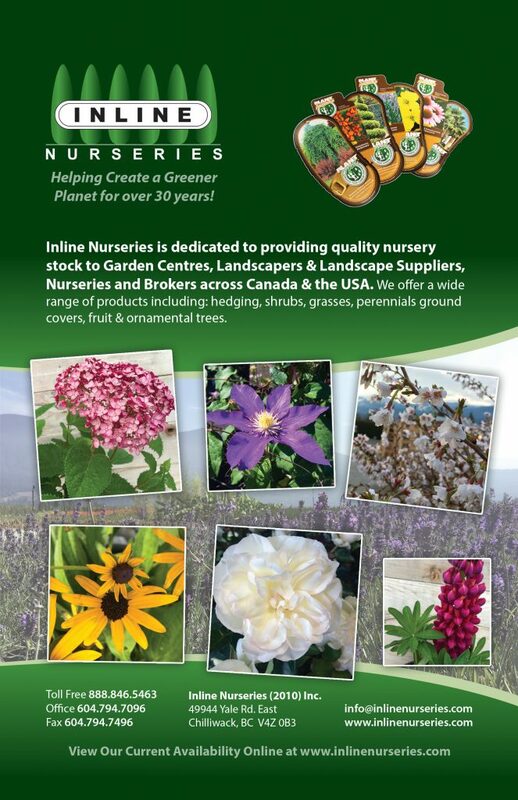 Wholesale grower and distributor to landscapers & retailers offering a wide range of quality plant material such as perennials, grasses, groundcovers, shrubs & ornamental trees.